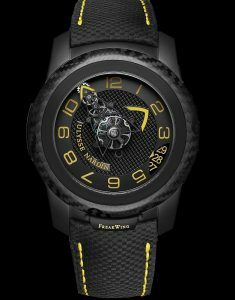 Limited Edition to 35 pieces it is the iconic FREAK FLYING TOURBILLON with 8 day mechanical wind Tourbillon movement with date indicator, in a 45mm black DLC Titanium case, with carbon fiber bezel. This spectacular timepiece technically does not have a dial, hands, or a crown to wind it, yet it is a Flying Tourbillon with an 8 day power reserve movement. 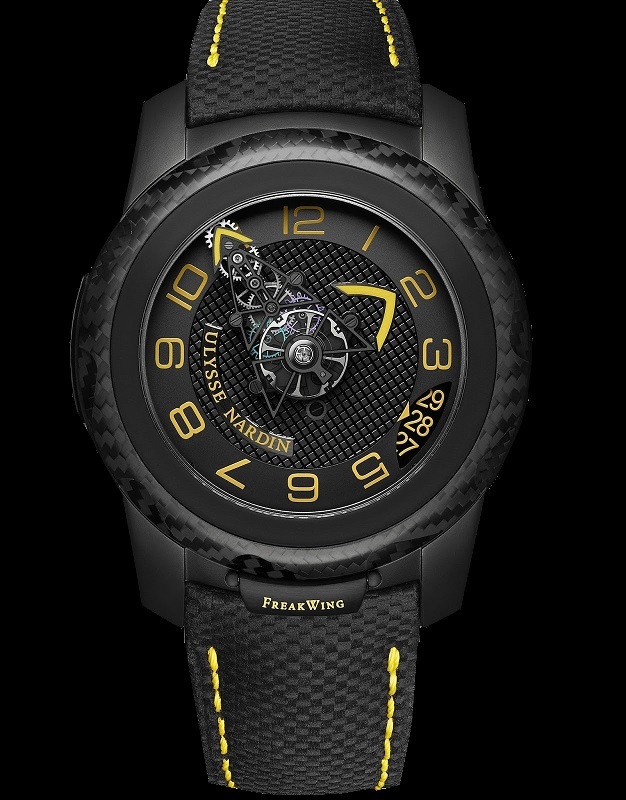 It is available on sporty canvas strap with yellow stitching and folding titanium buckle.